Cleaning old plastic pots properly disinfects them and prevents transmission of diseases from last season's plants. It is an inexpensive process, requiring little time, effort or materials. Reusing plastic pots saves money and helps the environment. The savings realized from reusing the plastic pots instead of buying new ones is substantial and also reduces the amount of plastic in the environment. It is important to follow the correct procedure to sterilize the pots and also to remove mineral salts that accumulate around the rims of pots from watering plants during the growing season. Cleaning plastic pots correctly ensures the next plants you put in them get off to a clean start. Remove compacted dirt from the pots by scraping it out with a sharp implement. Scrape away mineral salt deposits that collect around the rim of plastic pots as well as any evidence of deposits anywhere on the inside or outside of the pot. Use a knife or other sharp implement for this process. Mineral salts can dehydrate plants wherever they come in contact with them. Use a scouring pad to wash the pots in hot soapy water to remove dirt and residual mineral salts and rinse them in clear water. Soak the pots in a solution of 1 part chlorine bleach and 9 parts water for one hour. Allow the plastic pots to completely air-dry. The solution works to kill any remaining bacteria during the drying process. Use safety glasses and rubber gloves when working with bleach. Clean all gardening implements by using the same process as that used for the pots. 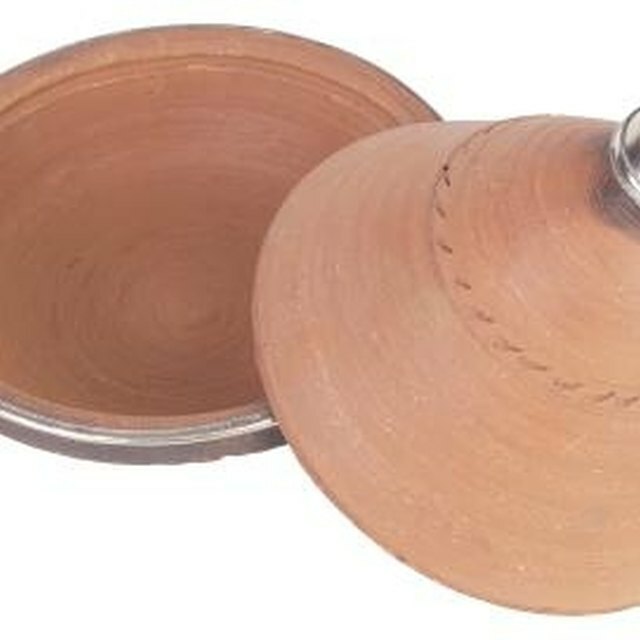 Ultraviolet light also can be used to sterilize plastic pots. Store sterile pots in clean plastic garbage bags. How Can I Print Words on Wood or Metal?